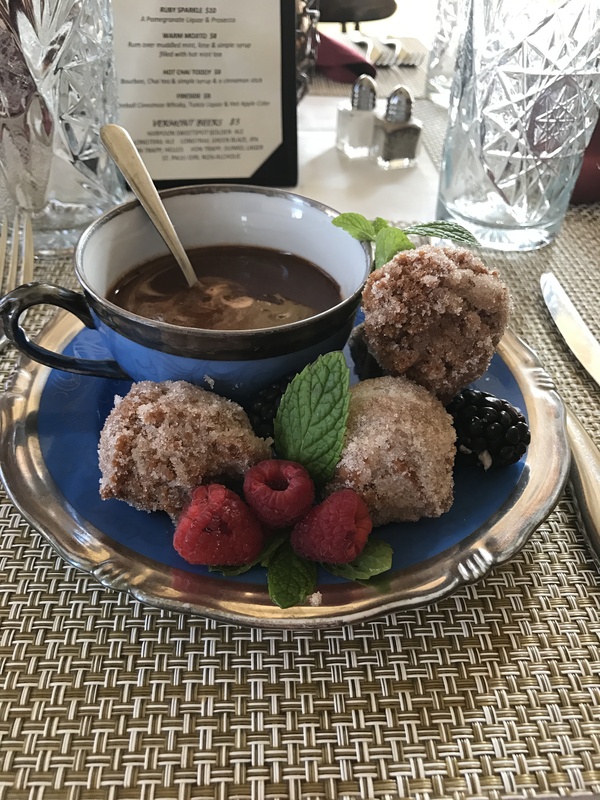 A MUST HAVE – The Silver Fork, Manchester, Vt.
Homemade drop donuts tossed in cinnamon sugar and served with homemade chocolate ganache…hot chocolate!!!! Oh for pity! !